Hotel Spring Birds is a small boutique hotel located near Hanuman temple, Naukuchiatal created for those who desire peaceful holidays close to nature & far away from the rash of modern city life. Spring Birds hotel has always been to provide the best possible service to guests and to ensure that your stay will be an enjoyable and unforgettable experience in Naukuchiatal. 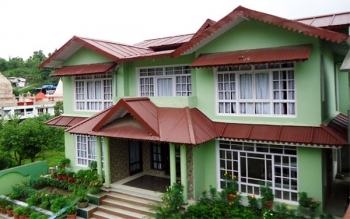 Hotel Spring Birds is located in the peaceful and picturesque surroundings, near Hanuman Temple in Naukuchiatal, at the distance of 25 km from Nainital. There are 12 rooms in Hotel Spring Birds hotel, The rooms are well furnished and spacious with balcony having paranomic valley view. Each room has been thoughtfully designed to provide you with proper comfort. Rooms are well furnished with amenities like LCD TV and Tata Sky, spacious and nicely decorated so as to give you the feelings of living at your own home. - Welcome drink on arrival ( non-alcoholic). - Two bottles of Packaged Water. - Breakfast on Buffet basis served in main restaurant. 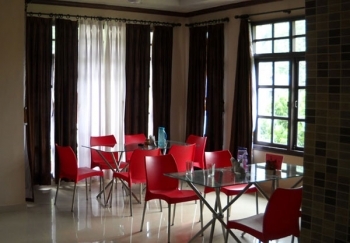 - Dinner / Lunch on Buffet basis served in main restaurant. - Bed Tea & Evening Tea with cookies. - Cake in room on first night. - Complimentary candle light dinner at one night. - Kesar Badam milk each night. - Chocolate for her on departure. - Flower decoration in room. Hotel Spring Brids in Naukuciatal is close many popular tourist and pilgrimage places in Uttarakhand. From hotel Bhimtal is 20 kms, Sattal is 10 kms, Ghorakhal Temple is 13 kms, Kainchi Dham Temple is 20 kms from hotel on Almora-Nainital highway, Ranikhet is 60 kms, Jageshwar is 100 kms.